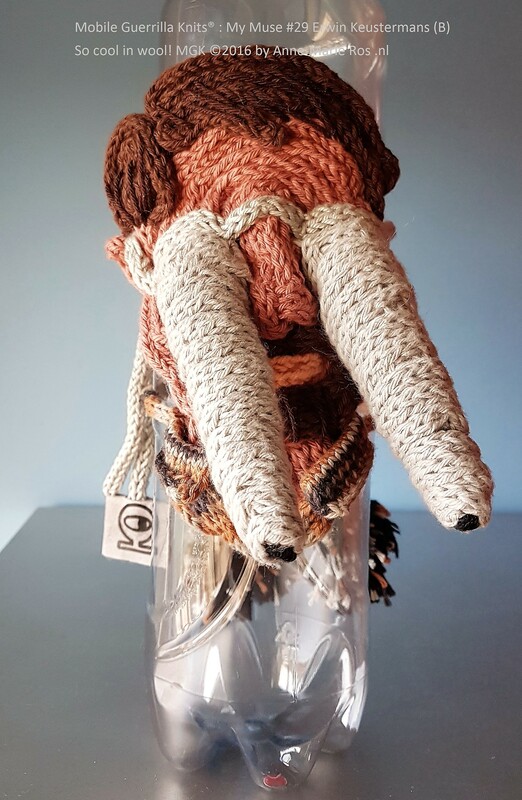 This is a Mobile Guerrilla Knits® portrait, cool-in-wool by Anne-Marie Ros. Inspired by Belgium artist and philosopher Erwin Keusterman’s Facebook profile picture. He is my so called Muse #29. You can read more about the portrait and Erwin by just following this Profile Picture link. It will bring you to the Mobile Guerrilla Knits® Facebook page.